We want to be your source for quality quilting. Whether you are looking to have your own top quilted or have a design you would like us to manufacture, give us a call or email. 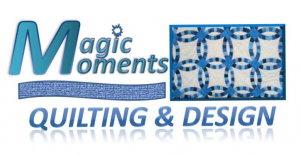 With over 30 years experience in quilting and our close relationships with our customers, the team at Magic Moments Quilting will spend time getting to know what's important to you so we can deliver on your quilting needs and wishes, time and again.